Inequality is evident for newly landed immigrants in Canada today and can be seen as far back as 1990. This study explores two areas in Toronto, St. James Town and Thorncliffe Park, both of which are public housing projects that have not been used for their intended populations. Toronto is where many new immigrants to Canada first settle. 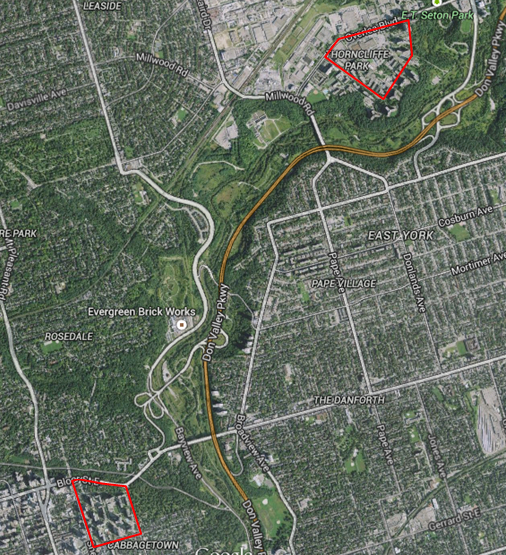 St. James Town and Thorncliffe Park have become two of the most densely populated areas in the city. Both are home to a large number of recent immigrants, as well as low income households. We start with a look at why and when St. James Town and Thorncliffe Park were originally developed, their subsequent histories, and plans for future development. Then we will explore the challenges facing recent immigrants, to better understand the inequalities that exist. Lastly, the census data will be used to support the claims of inequality made by residents of St. James Town and Thorncliffe Park.